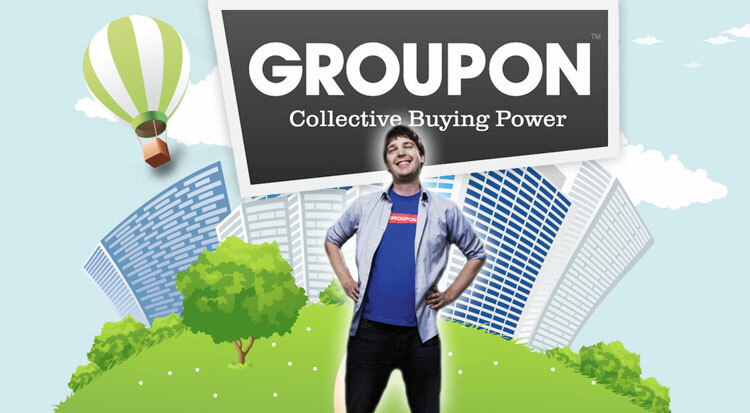 Groupon gripes: Are daily deals headed for disaster? The first time I shaved $20 off my dinner bill with Groupon, I felt a rush of delight followed by a twinge of guilt. Doubling $20 in cold hard cash into a $40 tab at an upscale restaurant just felt… too good to be true. It was the same feeling I got back in 1999 when AllAdvantage started sending my 13-year-old self checks every month for surfing the Web… shortly before folding and going bankrupt. Numerous half-price beers, carpet cleanings and huevos rancheros later, my guilt over using Groupon and its doppelganger LivingSocial has subsided. I’m a regular, but riding the gravy train doesn’t mean I don’t see trouble on the tracks ahead. With titans like Yahoo, AOL and Google hitching their cars to the daily deals locomotive, how long before the too-good-to-be-true concept of “getting half off everything” starts to chug? Here are some of the woes Groupon and other daily deals sites will have to work out as one-off bargains go mainstream. The problem here: The Groupon formula doesn’t scale that well past food. Food is universal, services fill niches. Everyone eats, so a restaurant offer might only exclude a small number of Groupon customers from considering it. Don’t care for Lebanese food? Wait for tomorrow’s Italian deal. 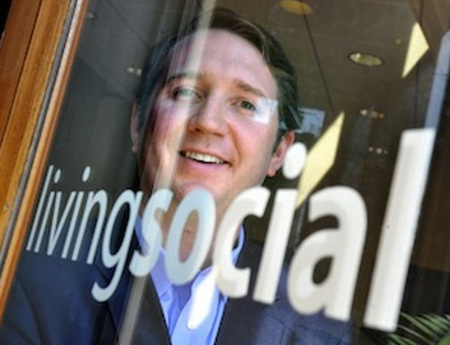 Other categories appeal to a far smaller number of people who can make use of that service, so as Groupon and LivingSocial have branched out, customers have started tuning out. Simply offering more deals may help allay this fear, but it also might dilute the spotlight that has made daily deals so successful to begin with. Daily deals sites can open a raging spillway of customers on a business – but businesses aren’t always equipped to handle it all. One of my oldest Groupons has been warming in my wallet for months because I haven’t been able to make a reservation at the restaurant it’s for, which has been hopping since the Groupon sale. Still, that’s a petty complaint compared to Groupon users in Japan, who received boxes of half-prepared “osechi” meals when a business was caught off guard by the sheer volume of orders a Groupon brought in for New Year’s Day. Although Groupon has vowed to help businesses deal with the influx of customers a deal can bring, the lack of a hard cap on Groupon’s featured daily deals means any offer could potentially spiral into out-the-door lines and grumpy, frazzled regulars put off by the new customers traipsing in and paying half price. This turns out to be a roll of the dice both for the businesses, who might be flattened with demand, and customers, who might be at the receiving end of a subpar experience. Bringing in boatloads of customers may sound like a windfall for businesses that opt for Groupon promotions, but in the long term, many of them claim the numbers just don’t add up to profit. Besides forgoing half their ordinary selling price, Groupon businesses have to split what they do make 50-50 with Groupon. The result: Many of them don’t even break even. An academic study of Groupon’s effectiveness found that deals were only profitable for 66 percent of businesses, leaving 32 percent left holding the tab. Even more damning: 42 percent of business owners say they wouldn’t run another daily deal. Is there room on the boat? Even with a business model that occasionally backfires on partner businesses, Groupon has companies lining up to step into the limelight of a featured deal. But how long will that last when every major company has its own Groupon knockoff? Besides LivingSocial, there’s AOL’s Wow.com, Yahoo’s Local Offers, Microsoft’s upcoming Bing Deals (which is more of an aggregator), and perhaps most threatening, Google’s impending Offers. The spotlight of a daily deal starts to get pretty dim when customers suddenly have half a dozen other spotlights competing for their attention. If the growing army of daily deals sites don’t manage to compete themselves into irrelevancy, is it possible they could simply outstrip the number of businesses willing to promote with them? Take six companies providing a deal a day in one city, and they’ve collectively burned through 2,190 businesses in one year (within a given city). In a mid-size city like Portland, there were only 2,500 establishments in retail and 1,812 in accommodation and food services as of the 2002 census. You could just about highlight every business in two years, and that’s not even factoring in high-end businesses that won’t use discounts to promote themselves. Companies can repeat deals, sure, but let’s remember that 42 percent of them won’t be up for a second round. The churn of new businesses in a city the size of New York City or Chicago can probably support this never-ending supply of deep discounts from new companies eager to get their names out. But smaller locales might actually suffer daily deal fatigue as companies start saying no to shearing away three quarters of their profits for a quick burst of customers. Skeptical as I may be, the limited funds in my bank account make me a consumer first and an observer second. As companies line up to split prices in half and make them even easier for consumers to find, I’ll be there right alongside soaking up the deals. I did, after all, milk AllAdvantage for triple digits before the goons running the place depleted their venture capital and shuttered the place for good. In other words, if this ship’s going down, I’m raiding the buffet before hitting the lifeboats. Join me for an oyster?